If you are an invoice financer that has considered using blockchain / cryptocurrency please let me know. 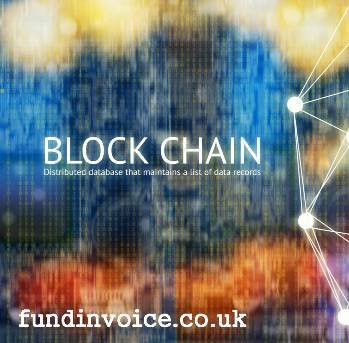 Are You Developing Blockchain Invoice Finance? I am interested to know if any of the existing factoring and invoice discounting companies are either developing a cryptocurrency, blockchain invoice finance offering or have looked into using cryptocurrencies. So even if you decided not to go ahead, and discounted the option for some reason I would be interested to hear your thinking. If you are planning something using these digital currencies I would equally be interested to understand more. I would also like to hear if anyone is experiencing a demand for this kind of currency support. If you have had any approaches from businesses looking for this kind of service (or not) it would be interesting to hear from you. I have left the comments function open in this blogpost, or you can reply via our various social media feeds e.g. LinkedIn, Twitter, Facebook or Google+. Recent research, posted by MarketInvoice on their blog (25/09/17), suggested that 21% of businesses surveyed expected to be using cryptocurrencies in 2018, next year. I was quite surprised at how high this figure was as we have not been aware that there was such a high level of demand. In fact we have not experienced any demand for blockchain from the volume of customers and prospects that we speak to. If these research results are correct, or even close to correct, that would suggest that the invoice finance companies should have looked at this requirement. Again, I would be interested to hear your views. I posted a while back about Populous, a new entrant that have launched an invoice financing offering that utilises Ethereum (one of these currencies) and I also wrote a blog post asking for someone to explain the benefits of cryptocurrency invoice financing. To date I have not had any replies to answer this question from either the blog post or our various social media outlets. If you are interested in reading about the benefits of invoice finance please see our new, free Invoice Finance Guide. It covers how it all works, pricing and a number of research snippets that are essential reading if you are looking at using these forms of alternative finance.